~What is dementia? Is it the same as Alzheimer's? What symptoms should you look out for? Where can you go to find help? What treatments are available? In this short but comprehensive introduction, Dr Simon Atkins clears away the myths, and sets out the facts about this increasingly common condition. 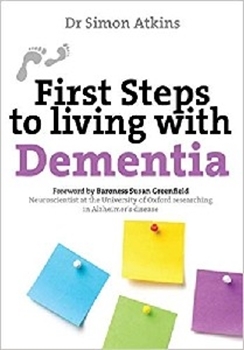 Whether you are concerned for yourself or someone else, First Steps to living with Dementia will advise you about how it is diagnosed, conventional medical treatments and alternative remedies, the social and financial support available, and the lifestyle changes that can help prevent it.